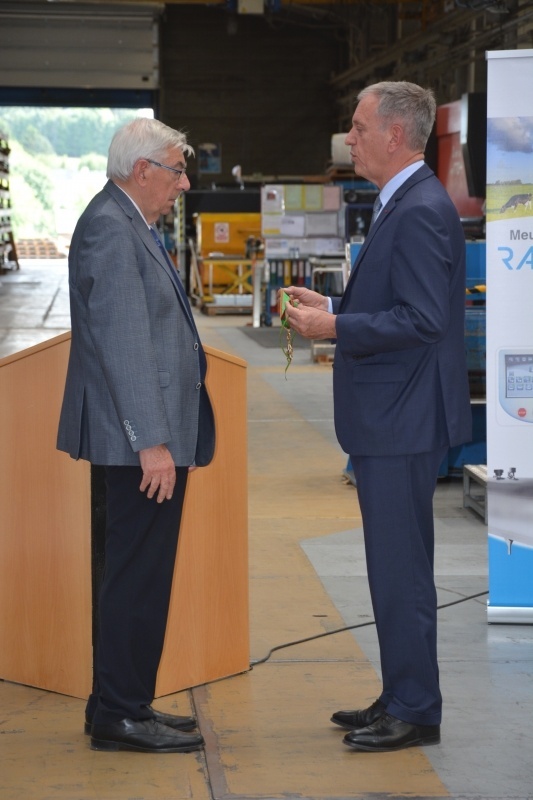 Mister Frédéric VEAUX, Prefect of Mayenne (right) grants with the medal of Commander of the Order of Agricultural Merit to Mister Michel BOITTIN (left). 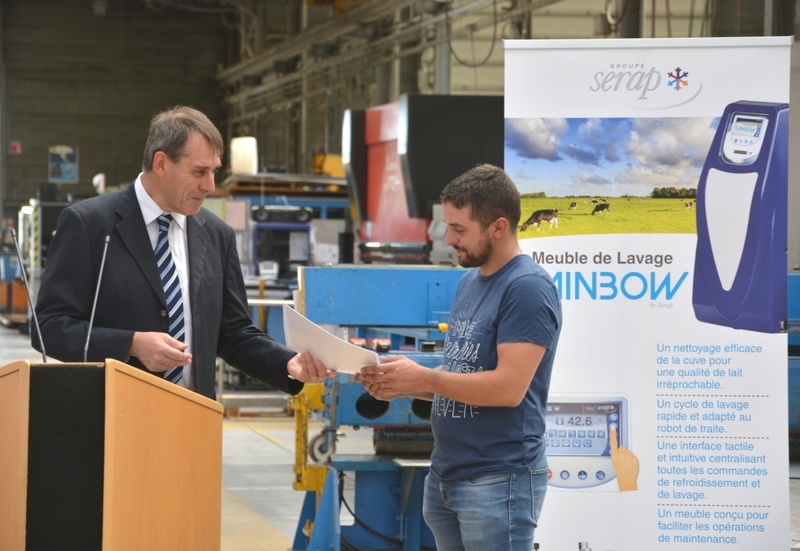 Eric BOITTIN CEO of SERAP since 2000 and Ludovic Arcanger. 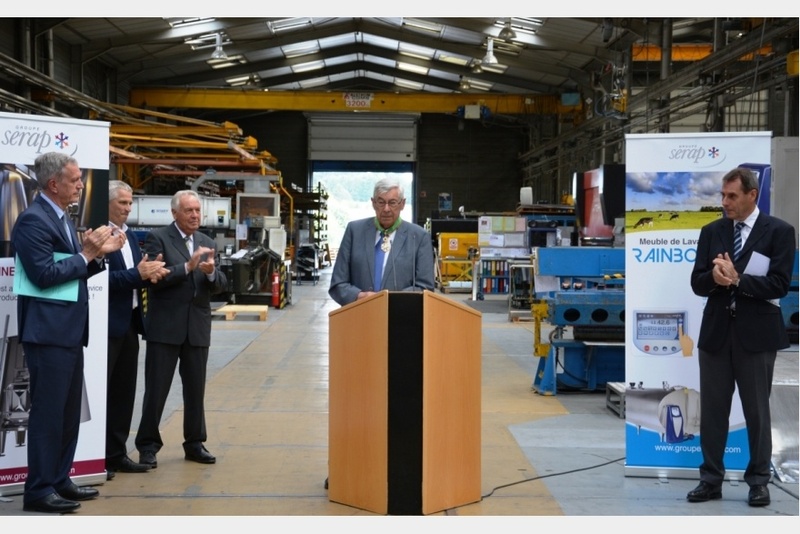 From left to right : Frédéric VEAUX Prefect of Mayenne, Roger MILLET first Deputy Mayor of Gorron, Bruno LESTAS Chairman of the Community of communes, Michel BOITTIN CEO of SERAP from 1968 to 2000, Eric BOITTIN CEO of SERAP since 2000. From left to right : Roger MILLET first Deputy Mayor of Gorron, Bruno LESTAS Chairman of the Community of communes, Michel BOITTIN CEO of SERAP from 1968 to 2000 and Frédéric VEAUX Prefect of Mayenne. 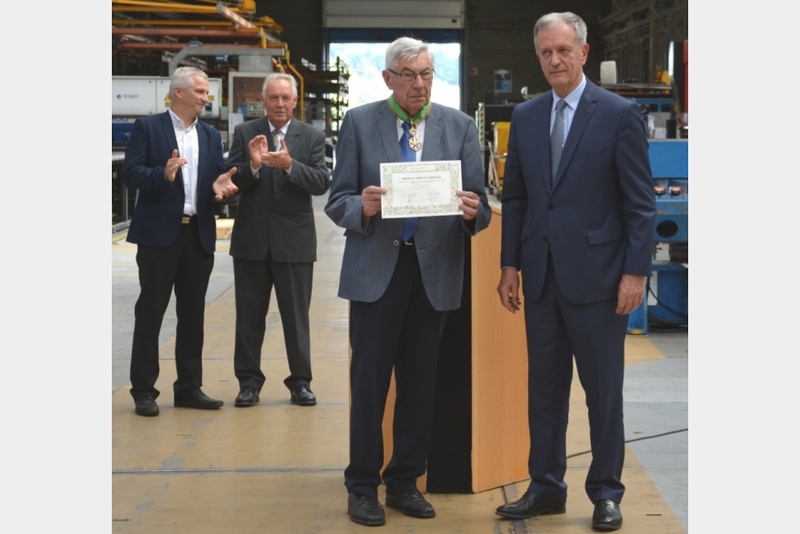 The general information meeting of Group SERAP was marked by two important events: an award of diploma and a ceremony for medals. 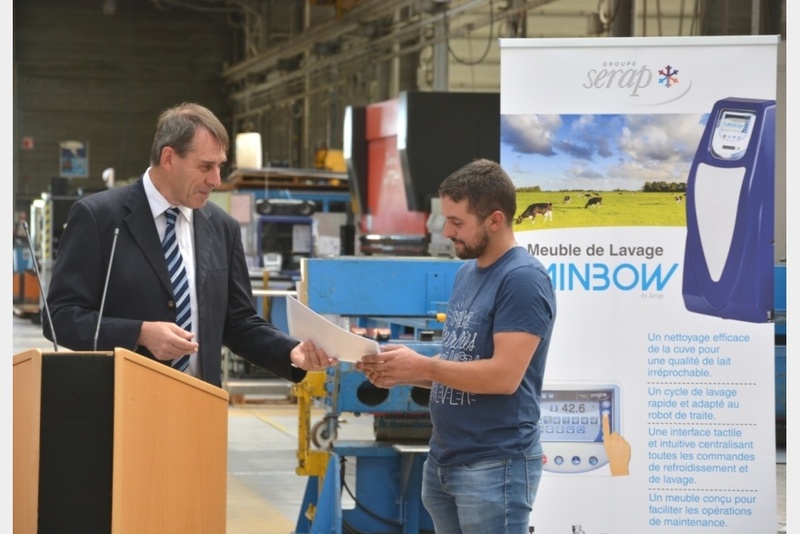 After the speech to the workers about the situation of the activities of Group SERAP and the perspectives for the next fiscal year, given by Eric BOITTIN, the chief executive officer, two workers of SERAP Industries were awarded with the CQPM – a French certificate of welder qualification in metallurgy. 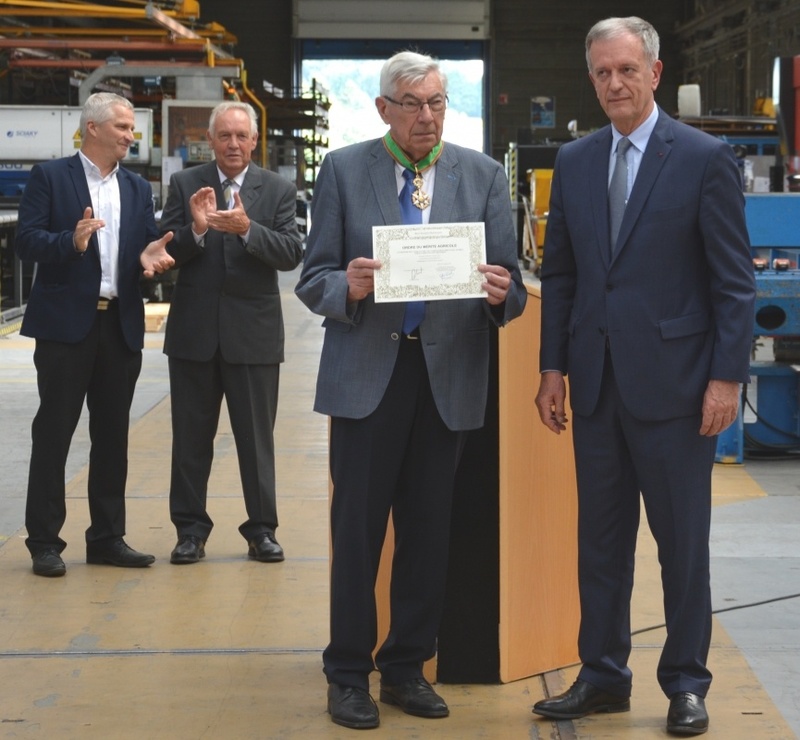 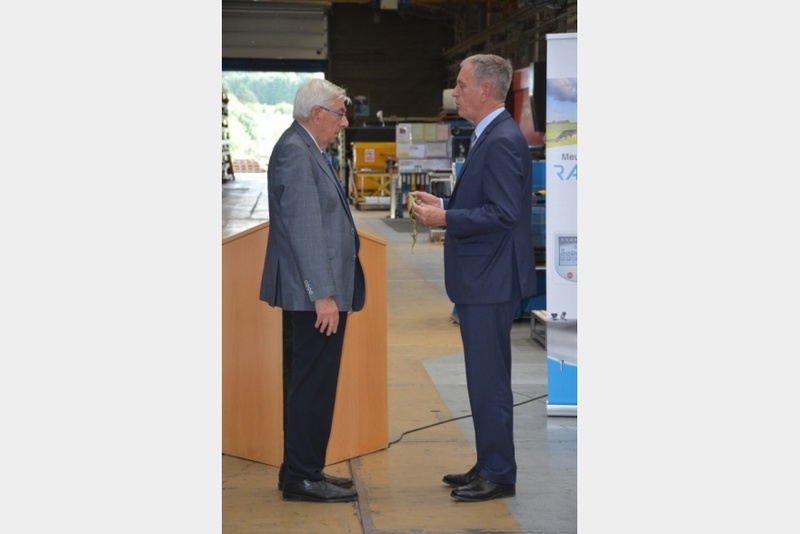 High point of this meeting : the granting, by the Prefect of Mayenne, with the medal of the Order of Agricultural Merit to Michel BOITTIN, Chairman of the Supervisory Board of Group SERAP.